Quranguide.org is a global, online educational institute, committed to set standards for the most simple and successful way of teaching the Holy Quran. Quranguide program is very easy, affordable, convenient and accessible for everyone. It has been specially designed for Muslims of those countries who do not have facility to hire a Quran tutor at home. Quranguide.org provides an opportunity for its students to experience the joy of learning in the safety and comfort of their homes. We offer you the choice of selecting time according to your own personal schedule. The most useful advantage of this blessed on line technology is its convenience. The online learning environment also helps you study in a ore relaxed mood, save money on useless traveling and avoid all the related frustrations etc. 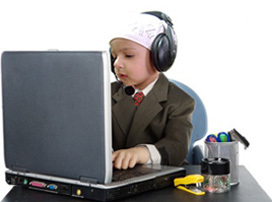 We provide Quran learning online to kids and to Brothers/Sisters of any age. If you wish that your kid Quran with proper rules of Tajweed or your kid do memorization of Quran, You are most welcome to contact us. Quranguide.org © 2011-2017 All rights reserved.